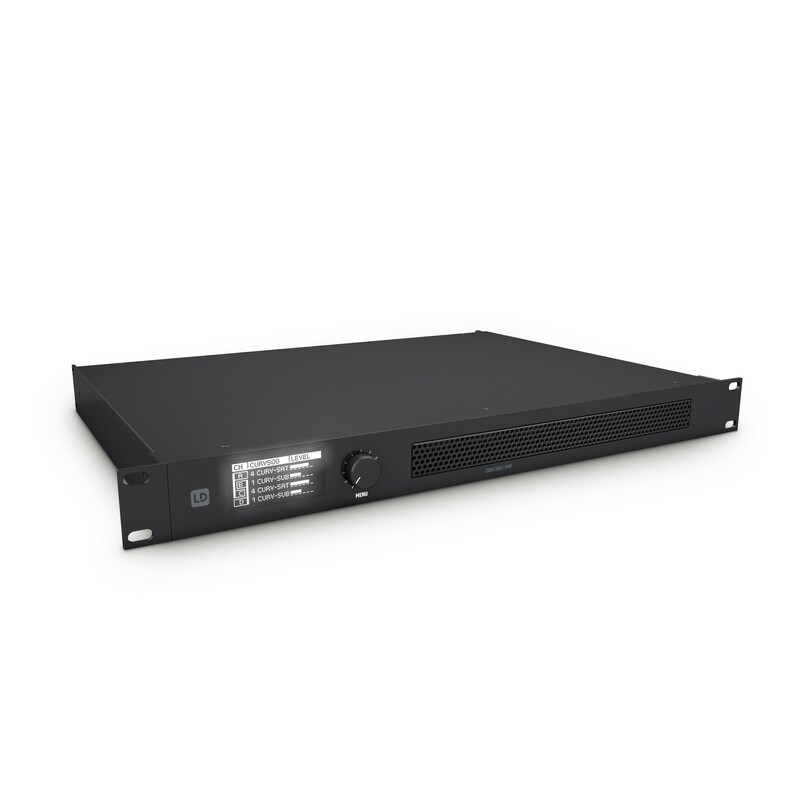 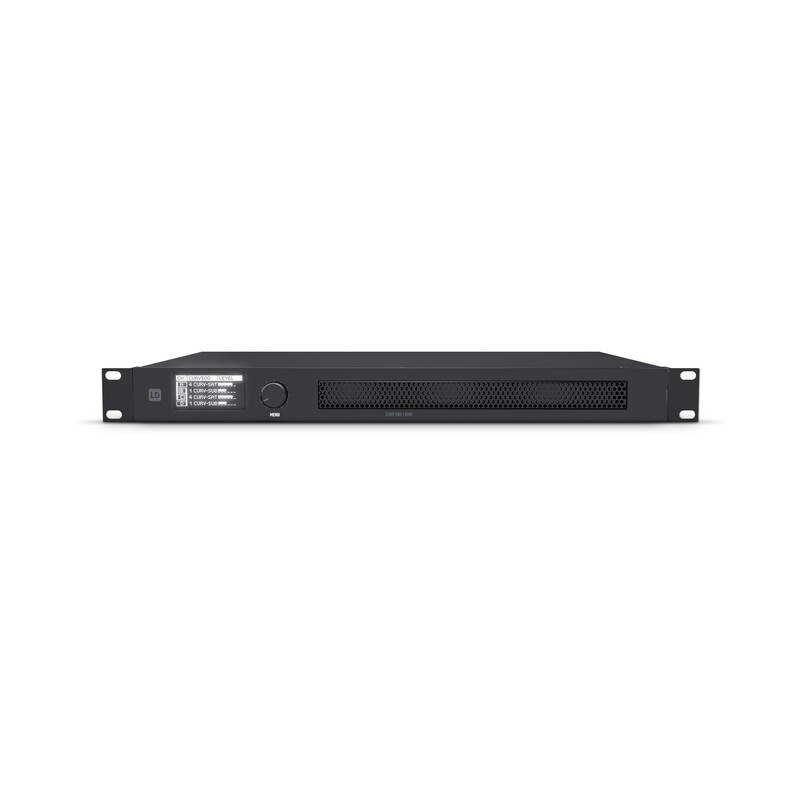 Purpose-designed for CURV 500® installations the iAMP® is a low-profile 4-channel Class D rackmount amplifier with high-efficiency switch mode power supply and 10 Hz – 22 kHz frequency response. 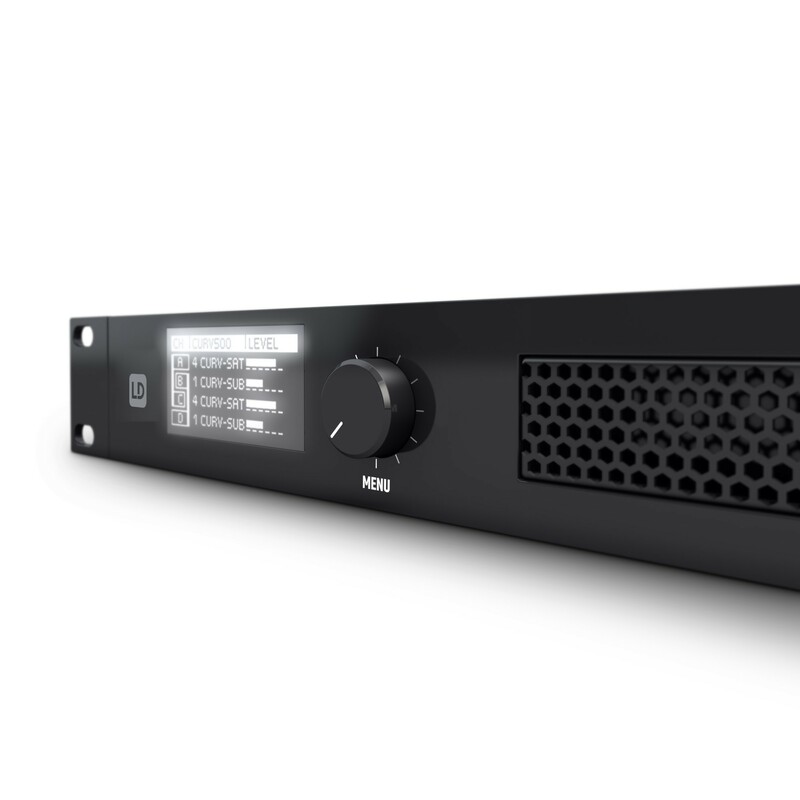 Sporting DSP control with presets for various satellite and subwoofer configurations, delay and parametric EQ each channel delivers 240 watts RMS at 4 ohms with less than 0.01% THD. 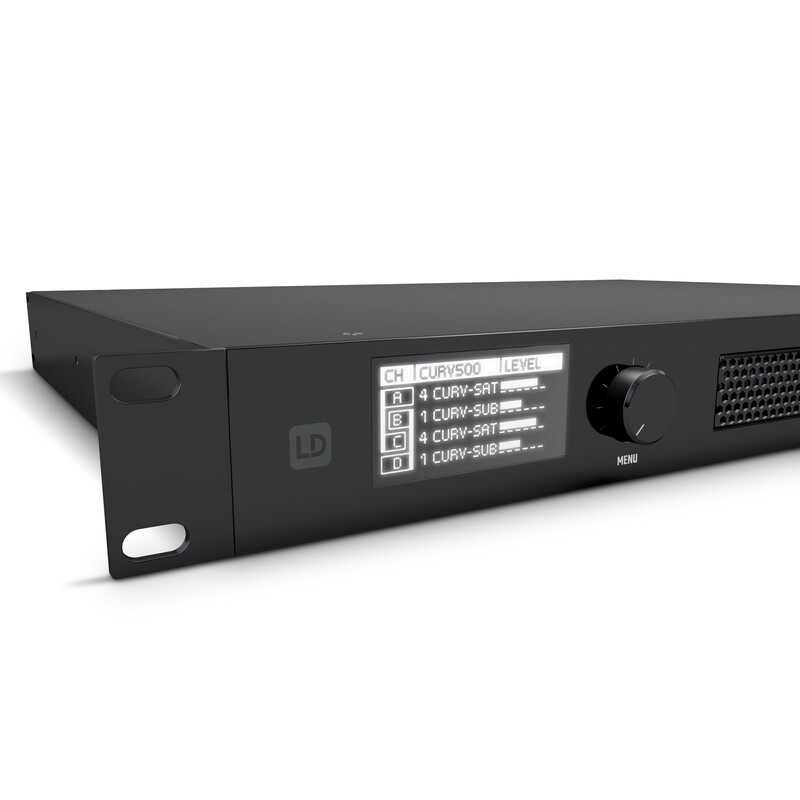 Operating the iAMP® is simple and intuitive with just a single push encoder and easily readable high-contrast OLED display. 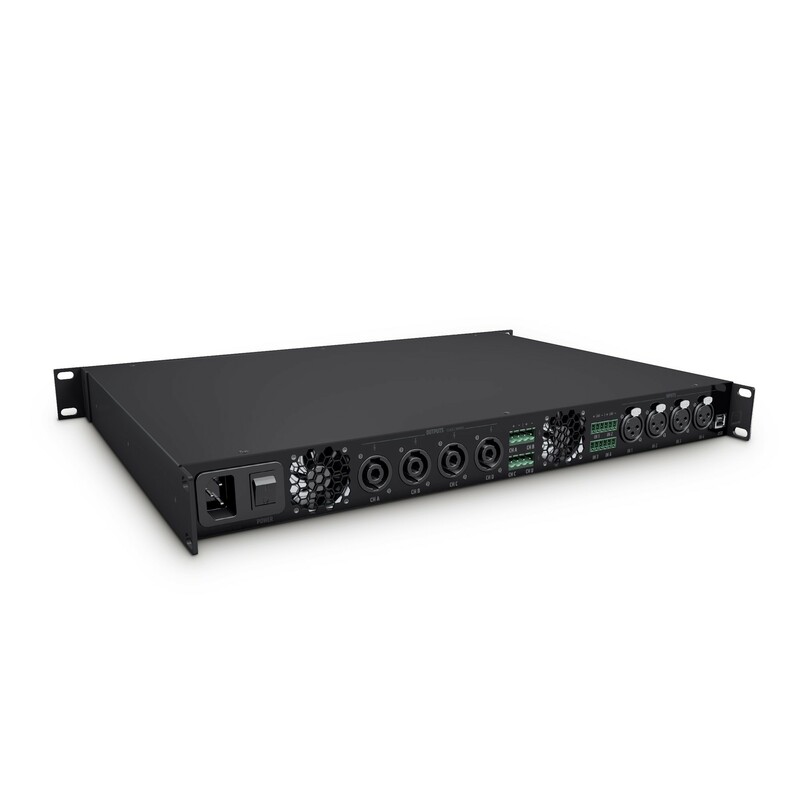 It features a soft start circuit, DC, overcurrent, thermal and short circuit protection plus a temperature controlled low- noise fan. Input is on balanced XLR and terminal block connectors. 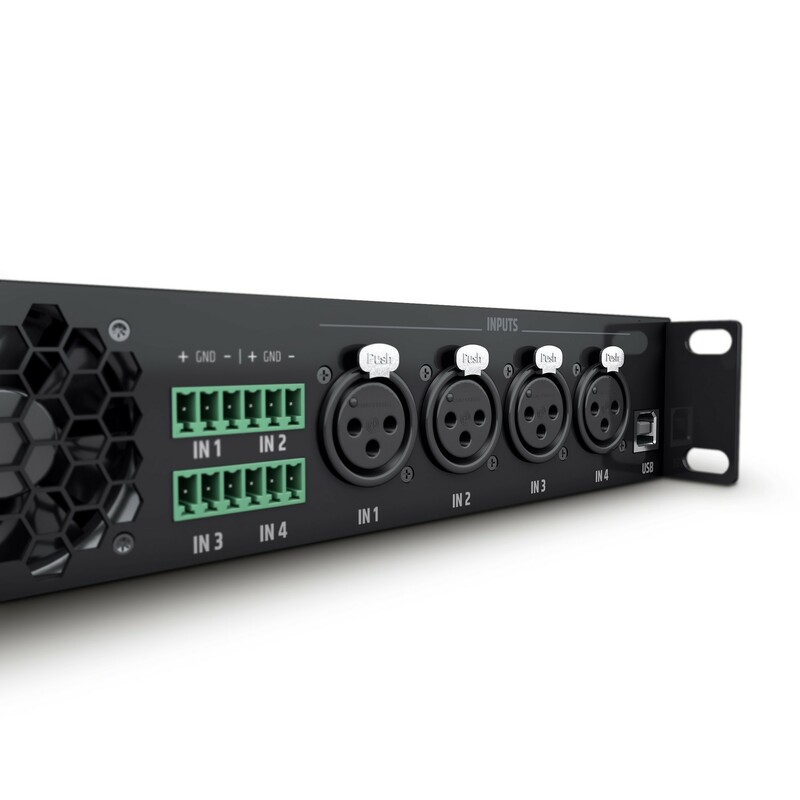 The iAMP® is capable of driving up to six CURV 500® satellites or one CURV500ISUB subwoofer per channel providing terminal block and speakON-compatible output connectors.